A collection of three short stories, each a surreal and darkly comic exploration of creative expression and how our artistic impulses have the power to unite us or alienate us. "Helberger In Paradise" stars Kate Lyn Sheil as a New Yorker who returns to her hometown to make good on an anarchistic promise to a deceased lover. "High And Dry" stars Ariane Labed as a privileged street photographer who suspects that her declining eyesight might have disturbing psychological implications. 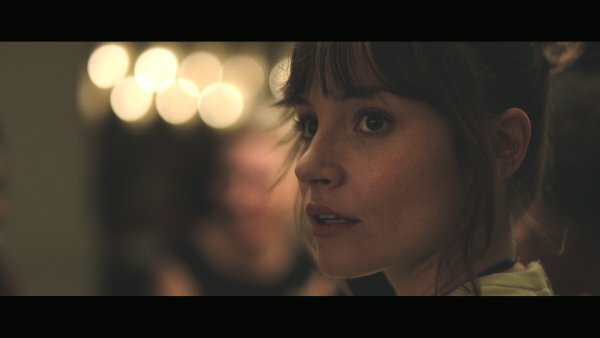 "The Crumb of It" stars Jocelin Donahue as a struggling comedian dating a rising star pastry chef played by Chioke Nassor, who find that their creative pursuits may sabotage their new relationship. T.J. Misny directs and photographs those moving pictures you keep hearing about. He is currently in the early stages of preproduction on the feature film COMEBACK CITY. His collection of three short films, INTIMATE SEMAPHORES starring Kate Lyn Sheil, Ariane Labed And Jocelin Donahue is premiering at the 2014 Brooklyn Film Festival. The comedy shorts T.J. directed have totaled over 3 million YouTube views, have been written about in The New Yorker, Huffington Post, Business Insider, New York Magazine, Entertainment Weekly, Grantland, Complex and have been named the best webseries of 2012 (Indiewire, "the untitled webseries that Morgan Evans is doing" + USA Today, "i hate being single") and 2013 (Variety, "little horribles", Complex "broad city".) He lives in New York City. The three films are separate stories, much like a collection of short fiction, however they have some connective tissue that would make them ideal to watch together. The dramatic/comedic stories explore the lives of artistic young New Yorkers who find their creative pursuits coming into direct conflict with other aspects of their lives. These characters each encounter strange and surreal obstacles, both internal and external while striving to actualize their true selves. Director T.J. Misny will be available for a Q&A after the screening.